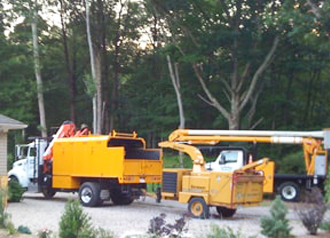 Connecticut Tree Service of Naugatuck has been serving the people of Naugatuck, Waterbury and the surrounding towns for more than 30 years, providing tree services that leave your home or business safe and looking fantastic. When you need us most, we're just a call away with 24/7 emergency support. You can count on us to get back to you by the end of our workday. We get the job done timely and safely. Our equipment includes a 65' bucket truck, a chip body truck with an Atlas crane, and a Vermeer BC1800 wood chipper. Each piece of equipment is regularly maintained to ensure ongoing, efficient operation. We take the time to keep our work fleet in excellent condition, allowing us to deliver the best in trimming, tree removal, stump grinding, and 24-hour emergency service. 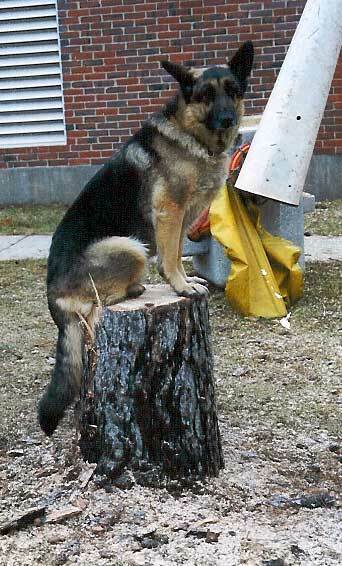 Rocky used to love going to work with Dan because he loved to be with people. He couldn't wait to go to work every day! He loved all of the attention that he received from our friends and customers.